Relax and refresh after your long flight in the comfort of the Plaza Premium Lounge located in Toronto Pearson International Airport Terminal 1 & Terminal 3 International Departure, Domestic Departure and Terminal 3 US departure. 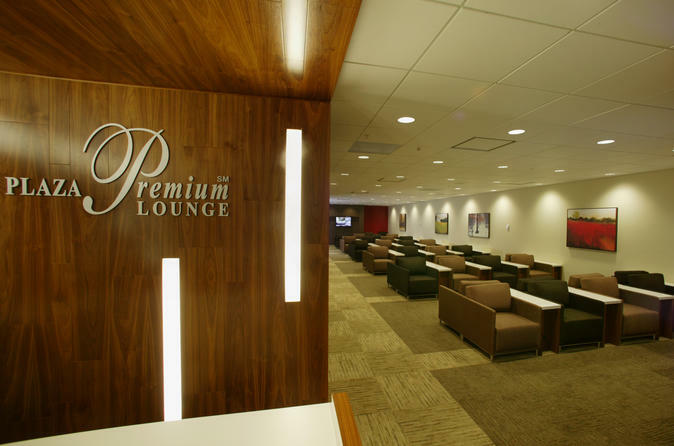 The Plaza Premium Lounge provides modern facilities and first-class service including high-speed internet workstations, a variety of food and beverages, shower amenities (subject to availability), and neck and shoulder massages. Choose from a 3-, 6- hour package for the length of time you need. You have access to both facilities the entire time. Book now! Wi-Fi is available throughout the lounge, and guests can watch TV and read a variety of newspapers and magazines. For those looking to freshen up before the flight, shower facilities (except T1 International Departure, T3 Domestic Departure and T3 US Departures) and washrooms are available in the lounge for convenient access. See Inclusion for more details about each area.